Hi Shelley, thank you for being here. Can you give me an insight into the journey of Frog Bikes? Absolutely! Jerry and I founded Frog Bikes 5 years ago, when we were teaching our own children to ride bikes. We felt that most kids’ bikes on the market were poorly designed and really heavy, and we recognised that there was a demand from parents for something better. So, working with the Sports Sciences department of Brunel University, we set about designing a better range of bikes, using aluminium frames, and child-specific componentry. We created a brand which was bright and colourful and friendly for children – and Frog Bikes was born! What do you think makes Frog Bikes such a unique concept? Neither Jerry nor I are from the bike industry, and that’s also true for the majority of the Frog team – so I think we look at problems in a different way to the industry. Because we mostly come from FMCG backgrounds, the customer is always at the heart of what we do: if it’s not right for the child who will be riding the bike, then we don’t do it. 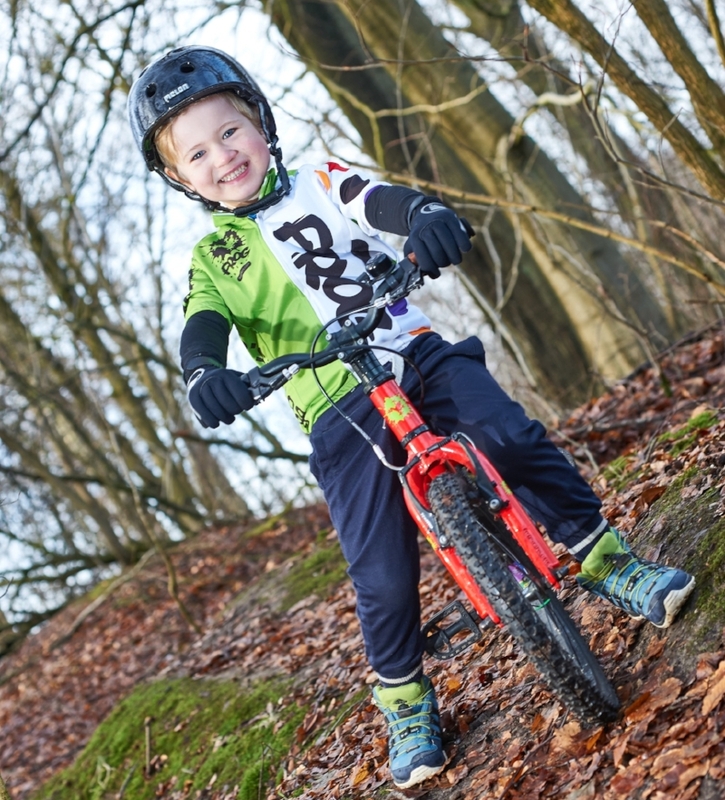 We are also one of the very few child-specific bike brands, so all the research and development that we do is focussed on smaller riders and their particular needs. Kids aren’t just small adults, so their bikes need to be a bit different as well! What’s the single most important decision that you made, that contributed to your business? Opening up our own factory in Wales, enabling us to re-shore most of our bike assembly activities, has been a huge decision. Financially it’s a big commitment, and it has changed our business dramatically – we now manage a much more complicated supply chain, with direct relationships with all of our componentry suppliers – which give us a lot more control, and shorter development cycles. Our customers love to buy a British brand, and it’s a great feeling to be able to create jobs here at home. Cash flow is always a high priority for all businesses, and particularly when you are a small, independent company with limited resources behind you, and when you are growing rapidly. In the early years there were some real pinch points when we needed to pay for bikes for the next period of sales growth, and cash was extremely tight. Using software like Xero undoubtedly helps us and our finance team stay on top of all transactions, cash flow, and bad debt, by making it very visible and easy to report on. It also gives our bank more confidence that we are staying on top of issues, and helps prevent nasty surprises! Primarily it’s parents who want to help their children enjoy cycling as much as possible, without spending a fortune! But we also sell bikes to bike training organisations, to schools, holiday companies and local authorities – anyone who has an interest in getting kids more active. If you have a fantastic idea, but not much experience in business, get a mentor. And listen to their advice! Even though we both many years of commercial experience, we have benefited enormously from using a business coach. He looks at things in a different way, asks the awkward questions we might be tempted to avoid, and has a fantastic network of contacts. Kermit the Frog, of course! Although I think it’s pretty confusing to have a voice answering my phone which isn’t mine. Does anyone do that?! What’s the plan for Frog Bikes over the next 12 months? This month we have made two exciting announcements: one is the launch of a new range of mountain bikes, the other is a partnership with USA Cycling. So our focus this year will be growing our sales around US (we have 120 stockists so far, but it’s an enormous market), and becoming stronger in the regions of Europe which prefer mountain biking to road or hybrid bikes. Our MTB has been many years in development, and we’re really proud of the range: it’s lightweight, has responsive suspension that actually works for children, and we think it’s priced really competitively. Fresh air and exercise! We work long hours and the pressures are intense, but it’s so important to us to keep a sense of perspective – and I think the best way to do that is to go for a bike ride, a run, or a dog walk (we have two energetic dogs!). Frequently, the answer to an issue I’ve been wrestling with pops into my head when I’m away from my desk and enjoying being outside. How did you build such an amazing consumer culture around Frog Bikes? It’s wonderful working with a product which makes people happy! Every parent celebrates that moment when their child pedals on their own for the first time. Or if they accomplish something – be it a longer than usual ride, or a competitive event. Frog Bikes are lightweight and designed to be easier to ride, so parents are pleased to have found a product which has helped their child achieve a milestone. Happy customers sharing good news stories has helped our brand awareness grow! What are your thoughts on failure as an entrepreneur? Failure is a golden opportunity to learn, so long as you take time to work out WHY something fails. We are a very analytical team at Frog, so we test something, measure its success, and learn quickly from it. If things fail, we let them fail quickly, and we move on. Don’t try to cover it up, or put it down to bad luck – you can always learn from the experience.